What would you do with an extra hour in the city of sails? Traffic in Auckland has become incredibly congested - especially around the airport and CBD. No one enjoys crawling 15km through traffic at walking speed for over an hour. 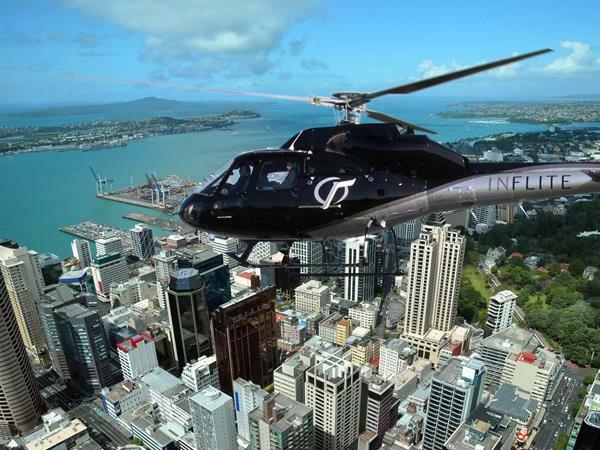 Avoid the traffic and noise by flying in luxury, style, and comfort to downtown Auckland. Let INFLITE take out the hassle and stress and take advantage of our convenient locations in Mechanics Bay in Auckland’s CBD and at Auckland Airport. When you fly with INFLITE Transfers, you will be met by your pilot in the Arrivals Hall and escorted to the helipad. Avoid all traffic and queues with a comfortable six minute scenic flight over the city. Expedite your transport time by using INFLITE's Meet & Greet service. For $390 per group, you can be greeted airside by a friendly agent who will usher you through the express customs channels and luggage collection before leading you to the Helipad. International passengers will be guided to the helipad a mere 100m away from the international terminal. Domestic passengers are transported to the international terminal helipad by Skycare luxury transfer vehicle. Skycare have transferred the likes of Bill Clinton and understand how to make VIP guests feel accommodated.